The Hobbit: The Desolation of Smaug opens upon the village of Bree on a rainy night. Passing in front of the camera is a familiar, scruffy-faced man who chomps on a celery stalk; this is the film’s director, Peter Jackson, reviving his cameo from The Fellowship of the Ring. The camera moves into The Prancing Pony, that fateful tavern where Aragorn first intercepted a quintet of hobbits in The Lord of the Rings trilogy. Here, Ian McKellen’s Gandalf consults dwarf leader Thorin Oakenshield (Richard Armitage), who wants to reclaim his people’s home in the Lonely Mountain, now jealously guarded by the title’s fire-breathing dragon Smaug. Gandalf advises Thorin that for his mission he will need a burglar, a hobbit. The scene takes place a full year before the events in An Unexpected Journey, the first film in Jackson’s three-part adaptation of J.R.R. Tolkien’s The Hobbit. But its source isn’t Tolkien’s book; rather it comes from a Tolkien story not published in the author’s lifetime called The Quest of Erebor, later released by Tolkien’s son in 1980. 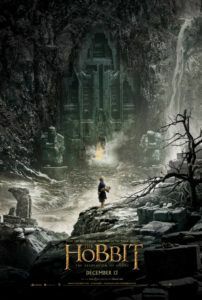 Screenwriters Jackson, Fran Walsh, Philippa Boyens, and Guillermo Del Toro have steeped themselves in Tolkien’s world, so much so that they reimagine The Hobbit with the help of other Tolkien texts, further linking the author’s storybook world to his darker, heavier material in The Lord of the Rings trilogy. When the final Hobbit film, called There and Back Again, arrives in 2014, Jackson and company will have spent roughly 9 hours adapting 300 pages. Indeed, the writers have incorporated their own elaborations to the source material, some inspired and others present for fan service. For example, they’ve returned Legolas from The Lord of the Rings to the fray, with a distractingly 10-years-older Orlando Bloom reprising the character that’s supposed to be 50-years-younger. Regardless of this unnecessary touch, the writers were inspired when they invented Tauriel, a fiery, inspirited Wood-Elf played by a red-haired Evangeline Lilly. Her presence offers some much-needed female heroism, a later Tolkien staple, in thrilling battle scenes and a romantic subplot when Tauriel takes a shine to the least dwarfish dwarf in Thorin’s company, Kili (Aidan Turner). There are also Gandalf’s disappearances to consider. In Tolkien’s book, the gray wizard comes and goes from the journey, mysteriously withdrawing to who-knows-where while the 13 dwarfs and their hobbit burglar Bilbo (Martin Freeman, perfect) slog toward the Lonely Mountain. Filling in the blanks, early in The Desolation of Smaug Gandalf rides off to Dol Guldur, where a dark human sorcerer called The Necromancer grows and commands an army of Orc followers. Be it additional elves or Gandalf’s side-quest, Jackson and his co-writers haven’t made a faithful adaptation of The Hobbit, which isn’t necessarily a bad thing. It may be a problem for Tolkien purists but many moviegoers will appreciate how lovingly Jackson explores the text and what lies beyond it. What remains important is how the filmmakers capture the spirit of Tolkien’s Middle Earth, and Jackson has proved time and again that he understands this world and knows how to make us feel a part of it. 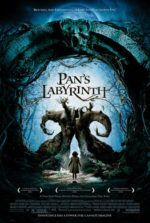 After outrunning a band of Orcs and taking refuge with fearsome skin-changer Beorn (Mikael Persbrandt), who shifts between a fierce bear form and a towering human, Gandalf leaves the company as they head through the spider-infested, hallucinatory Mirkwood Forest without their wizard guide. Out of a webby prison and into an elvish dungeon, the group is captured by Mirkwood’s elf leader King Thranduil (Lee Pace), a stuffy elitist and isolationist who’s content with preventing Thorin from reclaiming his homeland out of pure haughtiness. Our heroes finally escape by riding barrels down white water rapids, while all around them Orcs and elves do battle in a breathtaking sequence. Not since his King Kong remake, where Jackson produced a brontosaurus stampede that ended with the creatures toppling over one another in cartoonish fashion, has the director embraced such outlandish action, complete with a fat dwarf in a barrel tumbling over Ocs like a bowling ball over pins, and plenty of elf-batics as Legolas and Tauriel leap on the heads of dwarves and ride Orc bodies like a slide. Jackson ends his picture with a cliffhanger finale of monumental proportions, which may be irksome except that it’s so damn effective. The Desolation of Smaug is the second film of 2013 after Catching Fire to resemble The Empire Strikes Back in this regard, complete with Gandalf captured in peril (à la Han Solo in carbonite) and the threat of devastation looming over Laketown. Audiences will feel somewhat robbed of closure but nevertheless titillated for the conclusion in There and Back Again, and furthermore wowed by the production itself. Throughout the film, Jackson masterfully crafts his version of Middle Earth and spares no ornamentation or visual flourish in the process. Howard Shore’s lovely score dances over the proceedings and reminds us, musically, of Bilbo’s fate and that of the One Ring. 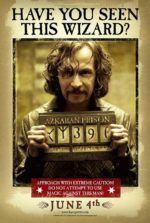 As with An Unexpected Journey, Jackson offers a 48 frames-per-second version in 3D, but this review is based on the standard 2D, 24fps version. Moreover, cinematographer Andrew Lesnie’s swooping camerawork may be an elaborate computer program in some instances, but an undeniable visual ecstasy lies in Jackson’s application of CGI worlds, impressive sets overseen by production designer Dan Hennah, and New Zealand landscapes occupied by fantastical characters and terrifying monsters. Those who quibble about the faithfulness of Jackson’s adaptation overlook the great adventurous momentum behind his cinematic realization of Tolkien’s story. Accurate or not, Jackson takes us deeper into the material and involves us in a rousing journey into mythmaking. His directorial self-indulgence results in a number of sequences that are sheer fun, if not appropriately over-the-top, but such moments are no different than when Legolas whimsically took a Flinstones-inspired slide down a giant elephant’s trunk in Return of the King. 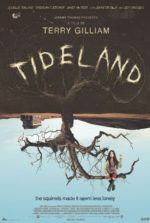 With equal parts escapist adventure and moody foretelling, the film is immersive. But, just as with its predecessor, The Desolation of Smaug will be difficult for many to judge on a stand-alone scale because the film remains a part of a larger whole. And until hindsight allows us to reflect on the complete Hobbit trilogy, Jackson’s second entry is a satisfying tale that breezes by at 2-hours-and-41 minutes. Neither the inevitable “Extended Edition” of the film nor its sequel can come soon enough.